The Causes of Sun Damage? 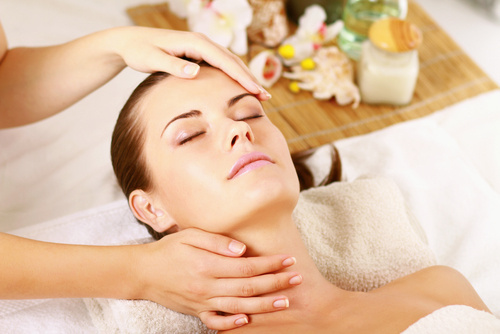 Skin rejuvenation is a dermatological approach to make the facial skin appear younger. It involves gentle resurfacing of the skin to enhance the clarity, texture, suppleness, and overall smooth appearance of the skin. Skin rejuvenation can be achieved with a variety of cosmetic techniques ranging from laser and other light energy based treatments to chemical peels, dermal fillers, and other non-ablative procedures. Dynamic Wrinkles: With age, a person will develop expression lines on the face that may appear as folds when the skin is not moving. However, as the person makes expressions or facial movements, these lines will deepen. Static Wrinkles: These are usually finer lines and wrinkles that are visible even without facial movement. These wrinkles do not change their appearance with skin movement. Scars: Facial skin may develop visible depressions due to scars. Scars may be caused due to injury or acne on the skin. Scars may present a discolored, pitted, or wavy appearance that compromises facial aesthetics. Pigmentation: Melasma, sun spots, freckles, or other dark patches of skin that may result from direct sun exposure or other factors are called pigmentation. Vascular Condition: When the blood vessels start showing on the skin surface, or the facial skin has a constant flush of redness, it may be a vascular condition. Loss of Toning: When collagen and elastin fibers become weak, the support skin structure may lose its strength, causing a loss of skin tone. Patients who enjoy a general good physical health, do not smoke or consume alcohol excessively, and have realistic goals about improving their facial appearance may be the best candidates for skin rejuvenation. It is important to be open and frank with the dermatologist and share all necessary information about past medical history and other conditions to ensure the safety and success of the skin rejuvenation treatment. The dermatologist will also need to know about any known drug allergies, past medical treatments, and ongoing medications, vitamins and supplements, and use of tobacco, alcohol, and drugs. Results with skin rejuvenation and resurfacing procedures will vary from one patient to another depending on the choice of treatment and the patient’s response to it. Different treatment options are available for different skin conditions. In general, patients can expect a visible improvement in their skin condition, which will enhance their overall physical appearance. New treatment technologies are making skin rejuvenation procedures more conservative and more effective at the same time.